Vivien Leigh's copy of the "Gone With the Wind" script is going up for auction alongside dozens of items from the late star's personal collection. 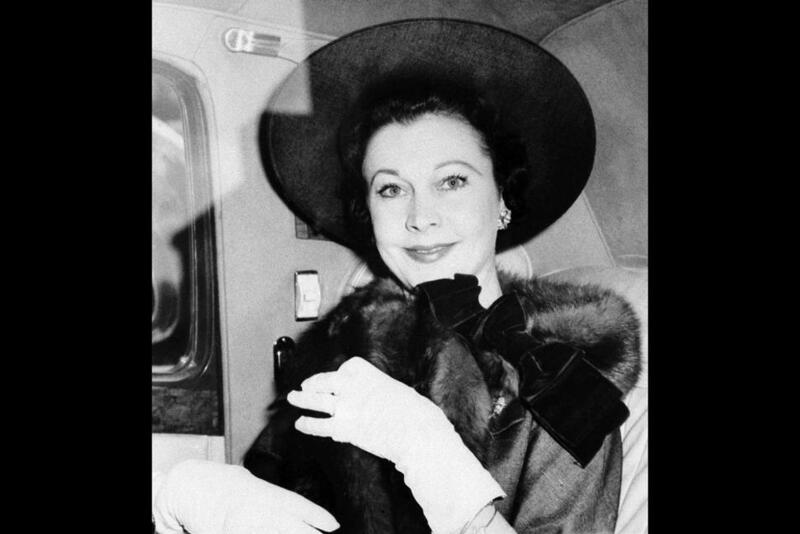 This May 1958 file photo shows stage and screen actress Vivien Leigh. Vivien Leigh's copy of the "Gone With the Wind" script is going up for auction on Sept. 26, 2017 alongside dozens of items from the late star's personal collection. Sotheby's said Tuesday it will offer paintings, jewelry, clothes, books and more belonging to Leigh at a Sept. 26 auction in London. Leigh won an Academy Award for playing Scarlett O'Hara in the 1939 epic "Gone With the Wind." The sale includes Leigh's copy of the original novel, inscribed with a poem from author Margaret Mitchell, which carries an estimated price tag of 5,000 pounds to 7,000 pounds (US$6,500 to US$9,000). The script, presented to Leigh by her co-stars, has an estimate of 2,500 pounds to 3,500 pounds. Also on offer is the wig Leigh wore to play Blanche DuBois in "A Streetcar Named Desire," estimated at 400 pounds to 600 pounds. Sotheby's UK chairman Harry Dalmeny said the collection offers a glimpse at the private Leigh, "a fine art collector, patron, even a bookworm." Leigh died in 1967, and her only child, Suzanne Farrington, died in 2015. The collection is being sold by Leigh's grandchildren. In 2013 the grandchildren sold her archive including correspondence, photos and awards, to London's Victoria & Albert Museum for an undisclosed sum.